Women supporting women is a trend I have been both happy and proud to be seeing more of recently. From Cate Blanchett’s incredible shout out to women in movies during her acceptance speech at the Oscars, to a number of articles and books like Lean In by Sheryl Sandberg, women are not only making themselves heard they are speaking up for others, too. Locally, here in the Berkshires of Western Massachusetts, we have our own organization standing up for women around the world in an extraordinary way. Kristen van Ginhoven co-founded WAM Theatre — a nonprofit that uses theater to explore social issues related to women and girls and donates a portion of their proceeds from every productions to organizations around the world supporting women. My own career started when I was given the opportunity to intern with Kristen and WAM Theatre during their first season as the marketing associate. Though I had no formal training in the field, I had acquired a variety of skills in social media, web design, photography, and writing on my own. This gave me the opportunity to fine tune them and gain some experience. I am so excited to share an upcoming performance presented in collaboration with WAM Theatre to benefit this amazing nonprofit called Motherhood Out Loud. A culturally and gender diverse series of monologues on the subject of Motherhood, written by a host of celebrated writers. Motherhood Out Loud traverses the experience of motherhood in all its wonderful glory from inception, birth, sexuality, growing up, letting go and the inevitable role reversal that occurs as we find ourselves parenting our parents. After successful productions all over the country, including an off-Broadway run in New York City, this will be the show’s Berkshire premiere. The performance is being directed by Jayne Atkinson, most recently known as the Secretary of State in House of Cards, who was inspired by what Kristen and WAM Theatre are doing here in the Berkshires. The performance will feature her husband Michel Gill who stars as the President of the United States in House of Cards and Jane Kaczmarek from the TV show Malcolm in the Middle. 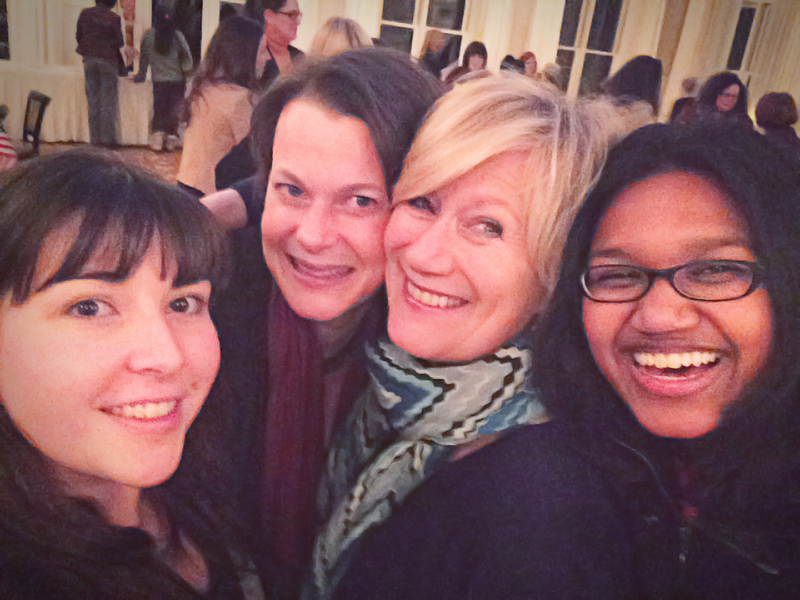 I got a chance to meet Jayne last night during a Berkshire Professional Women’s event where we took this epic selfie. If you’re in the Berkshires at the end of this month, you don’t want to miss this! If not, consider learning more about WAM and making a donation. With women supporting women more and more the future is looking brighter for ourselves and our daughters. The WAM Theatre and the Motherhood Out Loud program sound like so much fun! Motherhood Out Loud reminds me of Listen to Your Mother. Are you familiar with that show? We have one coming up in St. Louis in May. I’m going to go. It’s so neat that you got to meet Jayne Atkinson! Love, love, love her and everyone else in the cast of House of Cards!